TSW Nurburgring is manufactured using an enhanced strength alloy benefiting in a much lighter weight than a regular cast wheel, dramatically reducing rotational mass and enhancing vehicle performance. 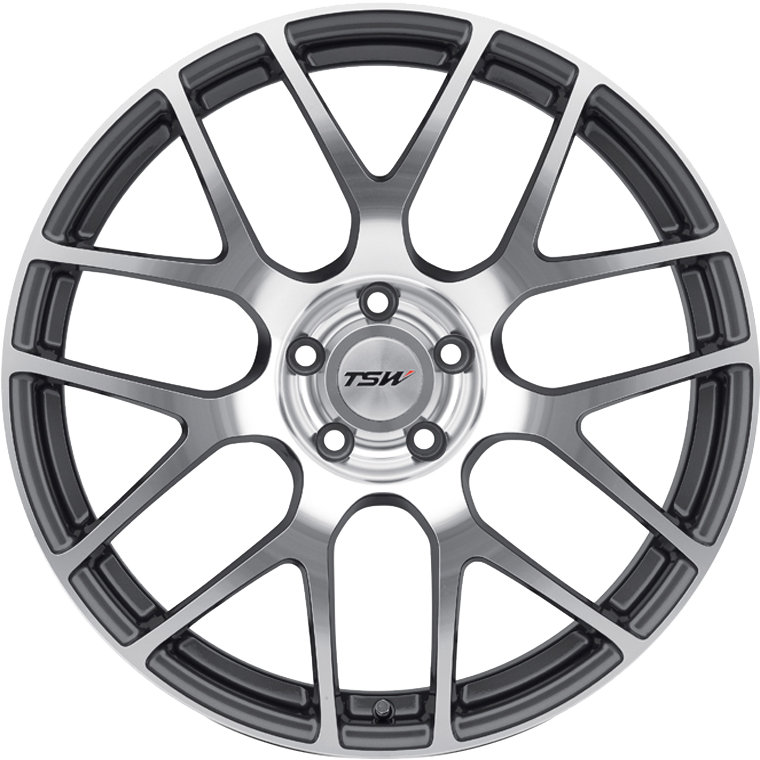 The Nurburgring wheel is designed with staggered fitments, perfect offsets and various finishes. TSW Nurburgring is manufactured using an enhanced strength alloy benefiting in a much lighter weight than a regular cast wheel, dramatically reducing rotational mass and enhancing vehicle performance. The Nurburgring wheel is designed with staggered fitments, perfect offsets and various finishes. The Nurburgring wheel is named after the Nurburgring circuit in Nurburg, Germany. It was the main venue for the German Grand Prix as part of the F1 World Championship in the 50's through early 70's. Built in 1920, this 22 km track was widely known as being one of the toughest and most dangerous tracks in the world. It was nicknamed "the green hell" by Jacki Stewart.